For “personal item,” think average purse size or a small backpack. Measurements are stingy — 16” x 14” x 12” — and if you don’t pay for your “oversize” bag when you book, thinking it might squeak through the sizer without being flagged, you’ll have to pay $100 to get it on the plane. I had planned to fly Spirit to Ft. Lauderdale a while back, just to test what I could bring for free, but realized I would have had to choose between a change of clothes and my laptop — so I bailed. It may have been just as well. What’s more, the seats don’t recline – which, considering that someone reclining a seat in front of you may end up in your lap in these sardine-can conditions, may actually be a good thing. Spirit’s website is hip and catchy and tries to put a good face on everything — why should you pay for someone else’s “free” bag? they ask — noting that other airlines build the relatively few freebies left (such as water and printing boarding passes at the airport) into their initial fares. But while, admittedly, Spirit does inform you on its website of the fees you’ll pay for this or that — if you hunt long enough — most customers are bound to end up getting snared for one or more of them, whether they’re prepared to pull out their wallets or not. So far the approach seems to be working. Spirit’s profits are growing, stock prices are up, and a fleet of new planes is planned for the future. Catch the Spirit? Just be sure to pack light and bring your own water. Let’s face it, everyone likes a low fare – unless the extra fees mount up too fast and cut significantly into the savings. 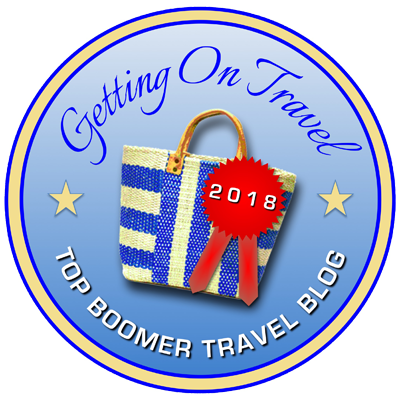 My guess, though, is that the typical Spirit repeat customer is not a baby boomer – as you get older, the extra legroom and reclining seats become more important, eclipsing the thrill of saving 50 bucks on a flight. It all reminds me of another cut-rate, no-frills airline that I used to fly cross country back in the ‘90s when I lived in New York and still had an office in my previous home city of San Francisco. It was called Tower Airlines, and its customer service was abysmal. Once when one of its flights was delayed by hours, stranding scores of customers in the San Francisco airport, all the Tower agents locked themselves in a back office so they wouldn’t have to answer questions or complaints. Finally the airline just gave up and Tower collapsed, which was a merciful ending for everyone. I still haven’t flown Spirit Airlines, and assume it couldn’t be as bad as Tower. But I predict future troubles if at some point if they don’t loosen up that legroom and attract more baby boomers. Cut rates are one thing, cut-off leg circulation quite another. I’d be interested in hearing from anyone about where they come down on that trade-off: low fares vs. low comfort and customer service. Travel Tip of the Day: If you do fly with Spirit, make sure you do everything at the time of booking at spirit.com; if you wait till online check-in or worse yet when you’re at the airport, you’ll pay “big moola,” as Spirit puts it. I was stuck in NYC because I missed my Southwest Flight back to Chicago. So I Google low fares from NYC to Chicago and Spirit popped up. I knew nothing about Spirit Airlines other than a comment a friend made about the airline, he too had flown Spirit because of the low fare and did not check out the airline before booking. He arrived complaining how Spirit charged for everything, even water and how uncomfortable the flight seats. I my friend was 77 years old, over 6 feet, but I didn’t really any attention, to what he was saying. I was annoyed because the flight was late. I do remember him telling me he would never fly them again. I had this great price, but my bag which is small didn’t fit Spirit’s very small luggage measuring basket, that cost me $100 which was totally unexpected. The seating made me feel like I was stuffed into a hole called a seat. Yep, water comes for a price. Then all of a sudden everything that my friend had told me about Spirit, kicked-in. I told myself “Never again, Never again”, I could barely contain my glee when we hit that roadway. I was 66 at the time and in very good shape, which was a plus. Spirit doesn’t lie in its advertisement, they mean what they say, No Frills. Great personal perspective, thanks so much for writing. And definitely with Spirit, you can expect to get soaked (with water you have to pay for).